"Many times did I try to join the flock of 30 Rock, the longstanding Emmy-winning hit from writer/creator Tina Fey, traditionally giving the series another chance after it received yet another piece of hardware for its trophy case. Yet, despite appreciating the effort that goes into sustaining the show's effervescent mood and structuring their punchlines, the brand of humor never really worked for me. 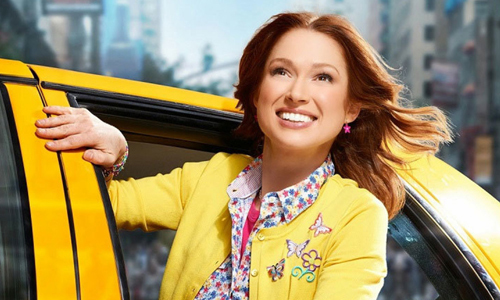 When similar praise started to flood in for Fey's latest creation with Robert Carlock, The Unbreakable Kimmy Schmidt, the thought crossed my mind that perhaps it had to do with the premise, and that breaking away from the quasi-realism of 30 Rock's setting into something more whimsical -- the release of doomsday cult members into society after being locked up for many years -- could do the trick. Unfortunately, even with the vigorous energy of Ellie Kemper and an equally-committed, surreal focus on structuring the gags to that of Tina Fey's prior show, the humor here stays outrageously flat in much of the same ways." "That emphasis on shock over substance persists all the way throughout the final two episodes, where writers David Benioff and D.B. Weiss mirror the initial exposition that occurred in the premiere, showcasing how they cleverly foreshadowed where each of the characters' arcs might arrive by the end. 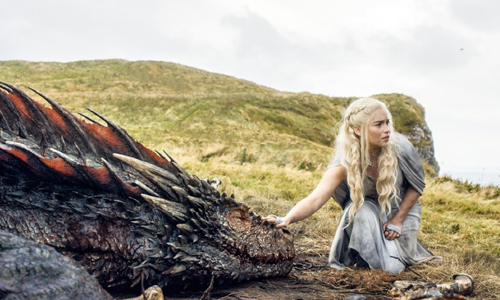 Unlike last season, which maintained some semblance of crowd-pleasing optimism in the annihilation of longstanding evildoers, very little of that can be felt in these twists, deaths, and mounting ominous tones ... and, unlike the dark period after the Red Wedding where viewers began to swear off the show, book readers really can't alleviate any negative sensations with promises of better times ahead. By and large, they're just as blind to what's to come in Westeros as everyone else, and since the final impressions this time around revolve around despair and curiosity over seeing just how bad things might get with the Seven Kingdoms and its citizens, it leads one to consider whether all the unrelenting emotional stabs in the gut really do exist simply to rile folks up."